Prepare for SSC CGL Tier 2 in 4 weeks with Oliveboard! It is Oliveboard’s advice to the aspirants to stop waiting for the notification and start preparing for the SSC CGL Tier 2 (2016) Exam! Before you start your preparation it is important that you plan your preparation by dividing the time available. The Staff Selection Commission is going to announce the exam dates for the SSC CGL Tier 2 (2016) Exam any day now! The SSC CGL Tier 2 Exam will tentatively be held in the month of November. Hence, it is Oliveboard’s advice to the aspirants to stop waiting for the notification and start preparing for the SSC CGL Tier 2 (2016) Exam! Before you start your preparation it is important that you plan your preparation by dividing the time available. To help you strategize your SSC CGL Tier 2 (2016) Exam preparation Oliveboard is providing you a 4-week preparation strategy on how to prepare for SSC CGL Tier 2 (2016) Exam! The first step of your SSC CGL Tier 2 (2016) Exam preparation is to gather the study material that you require for the preparation; ideally your books and SSC CGL Tier 2 previous years’ question papers. The study material ideally includes lessons, video lectures, books that cover part or entire syllabus of the SSC CGL Tier 2 Exam. It is also a good time to gather previous years’ SSC CGL Tier 2 solved exam papers of at least the last 3-4 years. These materials come in handy for reference during your preparation. Oliveboard provides comprehensive SSC CGL Tier 2 study material for your preparation. The study material covers the entire syllabus. Click here to sign up for Oliveboard’s FREE online SSC CGL Tier 2 study material. Now that you’re done gathering the required study material, it’s time to analyze the SSC CGL Tier 2 previous year solved question papers. Analyzing the previous year papers will give you a brief idea as to what the important topics are and also help you understand how to solve the questions under different topics of Quantitative Aptitude and English Language. The idea here is to familiarize you with the recurring SSC CGL Tier 2 syllabus topics and the process of solving all the questions under each topic. Click here to download the SSC CGL Tier 2 (2015) Solved Question paper. Based on your SSC CGL Tier 2 previous year question paper analysis, list down the important topics and categorize them into easy, medium and hard. Make a custom study plan by dividing your preparation time into weeks and days and assign time to the topics according to their categorization. Assign more time to more important and difficult topics and lesser, but adequate time to least important and easier topics. By the end of week 1 you should be ready with your SSC CGL Tier 2 Exam study material, previous year exam analysis and custom study plan. It’s time to practice! This forms the major chunk of your SSC CGL Tier 2 Exam preparation. Refer to your SSC CGL Tier 2 study plan and start practicing the questions. Use your study material to learn how to solve each question and try to solve different types of questions under each section. Keep going back to the SSC CGL Tier 2 last year papers for reference. Quantitative Aptitude: Practice formulas, clear basic and advanced concepts, learn tables and maintain a practice book to write down the important formulas and shortcuts. Use this practice book for revision before the exam. Time yourself and try solving every question within 1 minute. English: Read a variety of text online (articles, newspapers, magazines) and look up the dictionary if you don’t understand a word. Learn 25-30 new words every day and dedicate at least 3-4 hours to the English language section every day. Oliveboard provides practice tests for SSC CGL Tier 2 Exam. Click here to take Practice tests for SSC CGL Tier 2 Exam. This is the final stage of your SSC CGL Tier 2 (2016) Exam preparation. Once you have practiced sufficient number of questions, it’s time to test your speed and accuracy using SSC CGL Tier 2 online test series. While it is important to practice questions under different topics, it is equally important to answer quickly and accurately to save time during the exam. This is where the SSC CGL Tier 2 (2016) Mock Test Papers come in. Use this tool to identify your weak areas, track your progress and accelerate your SSC CGL Tier 2 Exam preparation. Sign up to Oliveboard to use the analytics feature for SSC CGL Tier 2 Exam. 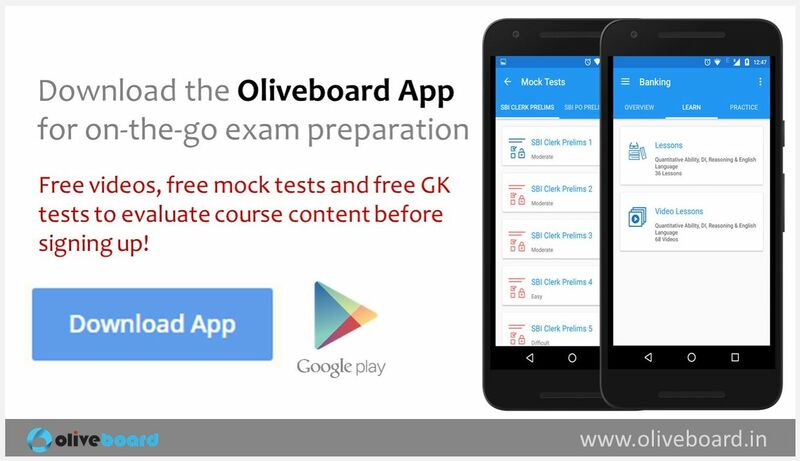 Step 3: Oliveboard provides solutions for every question after the mock test. Focus and improve on your weak areas by practicing adequate questions from those topics. Repeat steps 1, 2 and 3 till you can confidently solve any question within 1 minute. List of topics in which you have good speed and accuracy. Focus less on this area and dedicate relatively lesser time on these topics, but solve sufficient number of problems so that you don’t lose touch. List of topics in which you have bad speed and accuracy. Focus most on these topics and dedicate most of your time here. Practice as many problems as possible. Follow the above given tips with great discipline and be regular and consistent in your practice. Use the above tips as a handy guide to help you through your SSC CGL Tier 2 (2016) Exam preparation and crack the exam!